Il Best Western Plus Roland Inn & Suites è situato nel centro di San Antonio. L'hotel è vicino alle principali attrazioni turistiche. Approfittate tutto l'anno del miglior prezzo garantito e di offerte esclusive. Benvenuto al Best Western Plus Roland Inn & Suites. Questo hotel è situato lungo l'Interstate 10 direzione est e l'autostrada 87 (Roland Rd). Si trova a cinque chilometri circa dal centro e dal lungofiume di San Antonio, dal Texas Institute of Culture, da The Alamo e The Alamo Dome, dal centro convegni Henry B. Gonzalez Convention Center, Lions Park, dal campo da baseball Gonzaba e dal campo da tennis della Highland High School. Ci troviamo a 14 chilometri circa dallo zoo di San Antonio, dal Brackenridge Park, dal Japanese Tea Garden e dal giardino botanico di San Antonio, e a tre chilometri circa dall'AT&T Center & Coliseum, a sei chilometri circa da Sam Houston, a otto chilometri circa dal St. Phillip's College, 11 chilometri circa dai distretti scolastici Karen Wagner e Judson, 13 chilometri circa dalla University of the Incarnate Word, 16 chilometri da Converse e dalla base militare Lackland AFB. inoltre, si trova a dieci minuti dal campus Downtown della UTSA, a 40 chilometri circa dal Six Flags® Fiesta Texas e a 20 minuti dal SeaWorld®. Il nostro hotel è interamente non fumatori e ammette gli animali domestici. Il nostro hotel offre un servizio clienti accogliente e camere confortevoli al giusto prezzo. Gli ospiti potranno usufruire di servizi tra cui un ampio centro fitness, parcheggio gratuito e servizio di lavanderia. Se sei in viaggio per lavoro, avrai modo di apprezzare il business center interno e le strutture per meeting ampie 158 metri quadri disponibili. 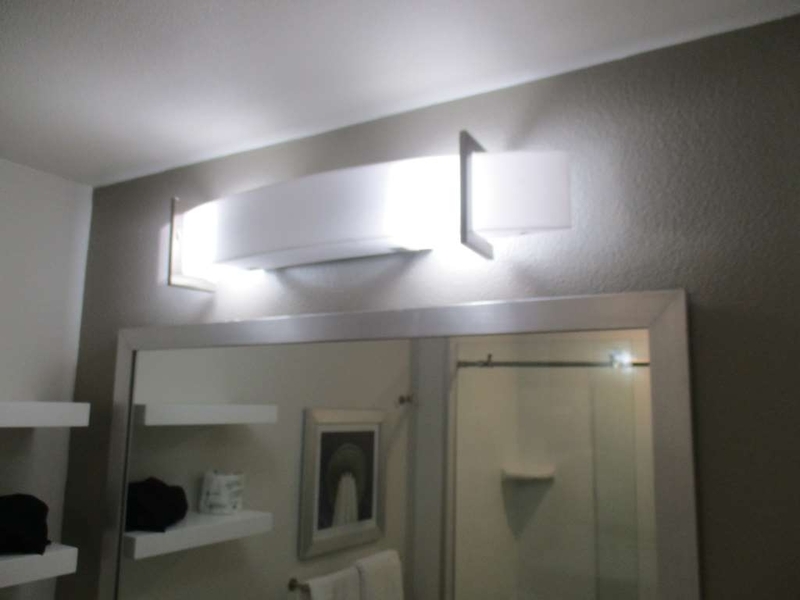 Questo hotel di San Antonio offre suite arredate con gusto e dotate di ampie finestre che donano un'illuminazione naturale a tutte le camere, oltre a televisori LED da 43 pollici e accesso a Internet ad alta velocità gratuito. Il Best Western Plus Roland Inn & Suites è lietodi offrirti un servizio di qualità superiore e un'ottima posizione a San Antonio, Texas. Risparmia prenotando oggi stesso! 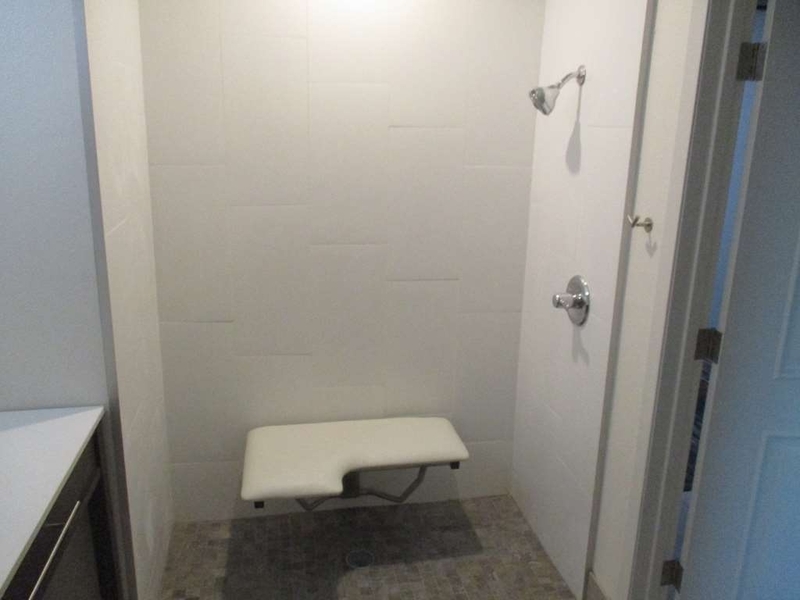 "Really average place in a beautiful town"
Large spacious rooms, adequately equipped. Peaceful nights sleep but the beds are feeling a little past their best and a little uncomfortable. Breakfast is cereals, waffles, bacon or sausage [which are really greasy] and eggs, along with tasteless potato chunks and fruit juices. Pool is there but never used as far as I could see. BW Roland is okay, nothing more than that. Single use plastic cutlery is however unforgivable in these more enlightened times and maddens me. Best western near San Antonio was a great place to stay for our visit. It was located close to the expressway. There are resturants close by. Rooms were clean. Breakfast area was nice. The staff were always busy keeping it clean and stocked. Nice pool but too cool for us to use. "Nice hotel, but . . ."
Nice hotel, good location, fairly new, reasonable price, BUT our room had the hot and cold water lines to the sink reversed, quite a bit of traffic noise, no towel rods, breakfast was not good and they kept running out of food—especially eggs! The pool is outside, so the months it can be used are limited. No hot tub. So, I'm in town for a Spurs game. I make reservations a month in advance and ask for high floor please, I get there and giveg first floor. But, The room was okay AT FIRST GLANCE so I get over it. The next morning I get ready to take shower THERE IS HAIR EVERYWHERE, I call front desk to show them so they can see. Also I an African American woman and the hair clearly is not, I even take pictures. My room was 200.00 that night, although they send someone to clean shower, it now makes me question the cleancle of the entire room. No discount or anything offered at all. not sure we would consider staying again. I wish could post these pictures so you can see the hair. Dear Luz v: Thank you for reviewing your recent stay at the Best Western Plus Roland Inn & Suites. 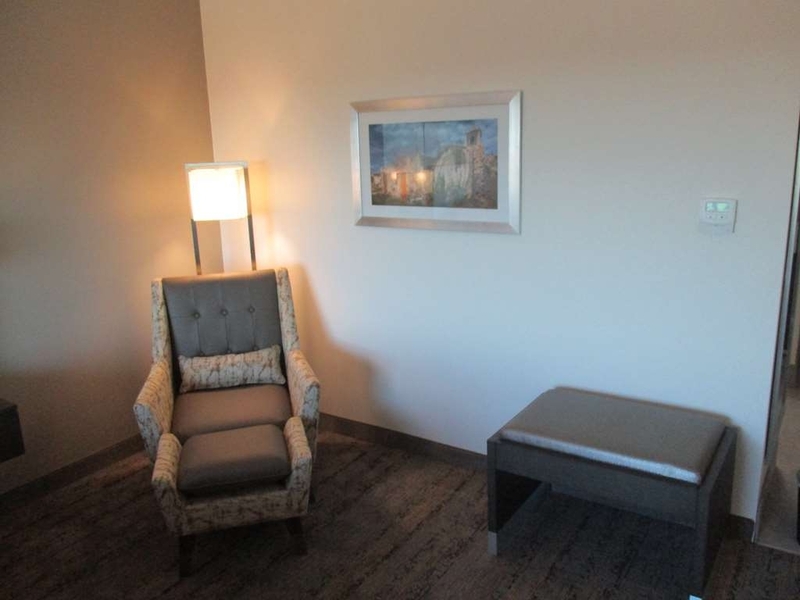 We strive to ensure every guest feels welcome and able to relax in a clean and comfortable environment. We hope to see you again soon. Sincerely, Tony H.
"Clean, looked new and easy access to freeway & AT&T"
Our visit was a very short one nightery to attend a concert at AT&T Center. Uber to get there was quick and maybe about $10. However, DON'T rideshare to AT&T because to get out took over an hour. Back to the hotel. No issues but can't report on the shower. Easy access to freeways to get back north. Only issue was breakfast. It is served at 6 but wasn't ready when we went down at 6. We really just wanted a very quick bite and then hit the road, but nothing was ready except, thankfully, coffee which was average and did the trick. But when I stuck my head in the back to ask if we could just grab some fruit or something, the staff member had dropped a serving utensil on the floor then was just putting it back in the tray for use. Maybe he took it out and didn't use it when he saw I caught him? I would hope so but probably not. "I highly recommend this hotel"
The check inn was fast. The staff was very friendly and professional. The hotel is new beautiful Lobby. They have elevators. The rooms are very nice. The beds were very comfortable. The showers have good water pressure. This was just a great place to stay. "Not that great at all!" We stayed here for 3 nights. I wasn't impressed at all! First of as l snd most important, the room wasn't very clean. Hsir from previous guests, dirty toilet seat and more. The pillows were hard and not comfortable at all and blanket was thin with no extra in the room. Our room was cleaned pretty badly on the 2nd day and on the third day to our surprise when we came back at 10pm thst it wasn't cleaned. My husband needed to go and take towels and soap from the reception. No apologies, no offer to compensate. Also, the window (no option to open it) was not sealed appropriately and cold wind came into the room. I've been to many Best Westerns and this one is one of the worst and I have no idea why it's PLUS. If you are visiting San Antonio, which is a beautiful city, find a different motel! Great play to stay. 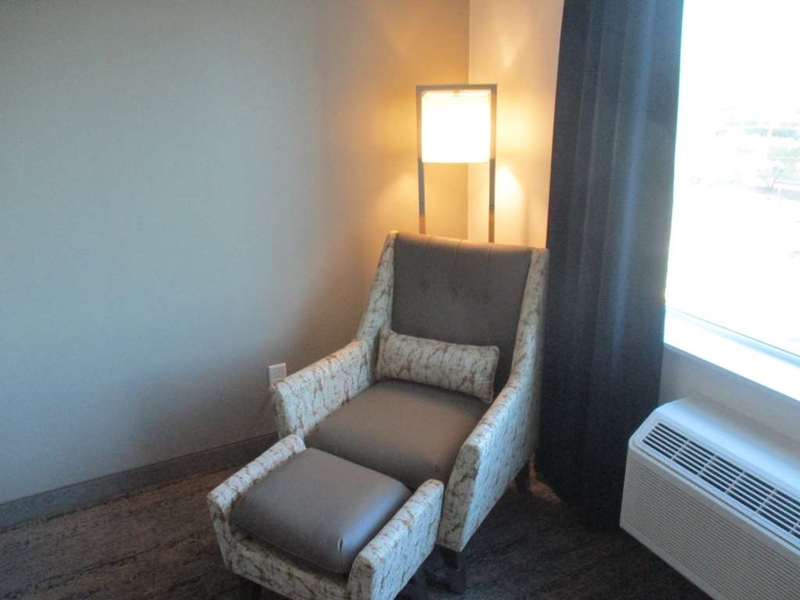 Nice and quiet with a friendly staff Close to all amenities and parking was easy. They are pet friendly and that can be hard to find in San Antonio. If you need a place to stay while exploring the river walk check it out. Let us stay a bit later after checkout time because we woke up late. Manager also took the time to help jumpstart our car the next morning. Our car battery had died because I left the inside light on. BIG shoutout to him for helping us get going this morning. 5 stars!!!! 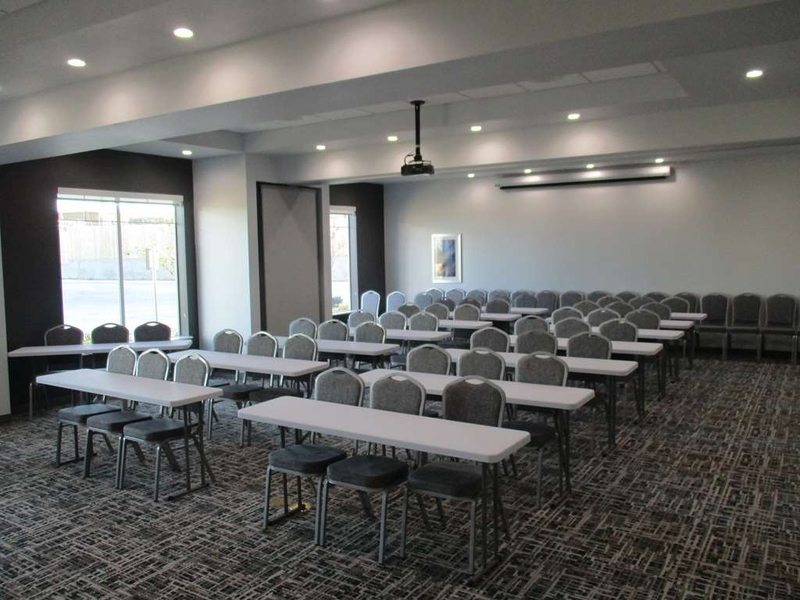 "Overall, I would say our stay was ok."
The staff were friendly and the motel is a great place to stay if you are attending an event at the AT&T Center. It's only a few miles away with easy access to I-10. We had two rooms. One with roaches and one without. I prefer the one without. There were three of us and none of us had a good night's sleep. Part of that was due to the beds and part was due to the thought of roaches crawling on you and getting in your luggage. They advertised breakfast was included with the room. There was no meat and the eggs and potatoes were cold. We walked next door to Whataburger. I requested an early check-in and they confirmed they could do it. We got there and the rooms were not ready. They poked around and after a short while were able to find one. We had to check into the other room later in the day. After saying all that I would still book there again because it was probably just one of those days. I still think it's a pretty good property. Had a great business stay at this location! 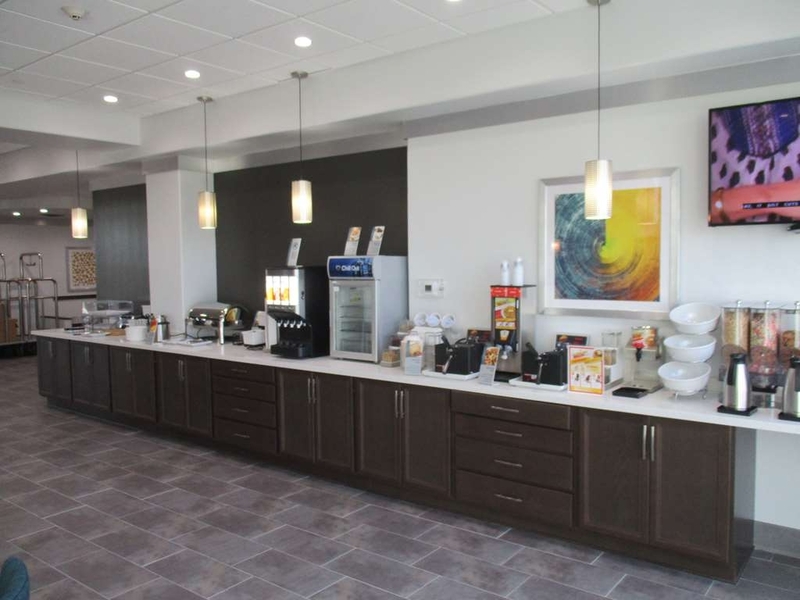 Newly built, very clean rooms, friendly staff, and great self serve breakfast. The gym was not very big, but very clean and neat with just enough to get a good workout. Room was clean and comfortable. The location was decent but not much within walking distance except whataburger. Right off the highway so you coikd be north or south in a minute or two. Definitely worth the stay and would gladly choose this again! Some of the other hotels I looked at nearer the river were much more expensive and honestly I'd choose this one again and again it's in a great location. Close enough to down town and in a great location for other things like the caves as well. Comfortable beds and a nice sized room. Clean. Friendly staff. This hotel was perfect for the location, only about 10-15 minutes away from the heart of downtown San Antonio. We did have to take an Uber from our hotel to The Riverwalk due to how crazy the traffic was because the San Antonio Marathon was that weekend. I myself did compete in it, and this hotel was the perfect resting place to prep for it. 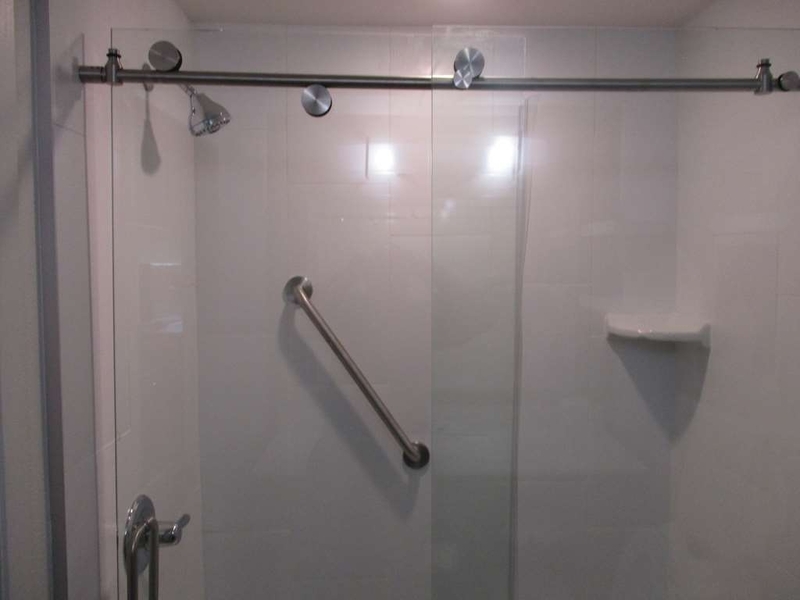 The walk-in shower was gorgeous and worked phenomenal. The bed was the right amount of comfy it was perfect for our liking. The check-in was flawless and simple took maybe 4 minutes. All of the staff was friendly and the breakfast was deluxe for a continental breakfast. The TV was quality good picture quality and sound was adequate. My only complaint was that if you do get a room next to I-10 you will hear traffic at night, but the sound of the A/C covered it up in our room. The only real complaint is where you are suppose to turn into the parking lot, none of the lights were on and the actual sign for the Hotel was not lit up. A very minuscule complaint. Overall phenomenal place to rest one's head! Thank you for taking the time to fill out our online survey. We're happy to hear you enjoyed your stay with us! We do apologize for the lighting and I can tell you the issue has been resolved. All the lights now come on before sundown to make it easier to find the hotel! "A Best Western Excellent Hotel"
The staff are well trained and eager to assist in directions to the downtown area. They provided an easy map to use and even provided some suggestions as to where to eat or enjoy a cocktail. San Antonio has so much to offer. Dear LindaZinColumbusMS, I want to thank you for taking the time to review your stay at our facility. Your feedback is very important to us as I share it with the staff, to keep encouraging them to keep up the great work they are doing. I would like to welcome you back next time you are in San Antonio. This hotel was great! Check in was a breeze no problems. This was my first time staying at a Best Western. The breakfast was okay I can't really complain. There's a Whataburger next door. Also very convenient to the highway. Dear Super_mom08, I would like to thank you for your feedback on your stay at our Best Western Plus Roland. Since it was your first time at a Best Western we do hope we met your expectations. I would like to invite you back to our facility next time you are in San Antonio. 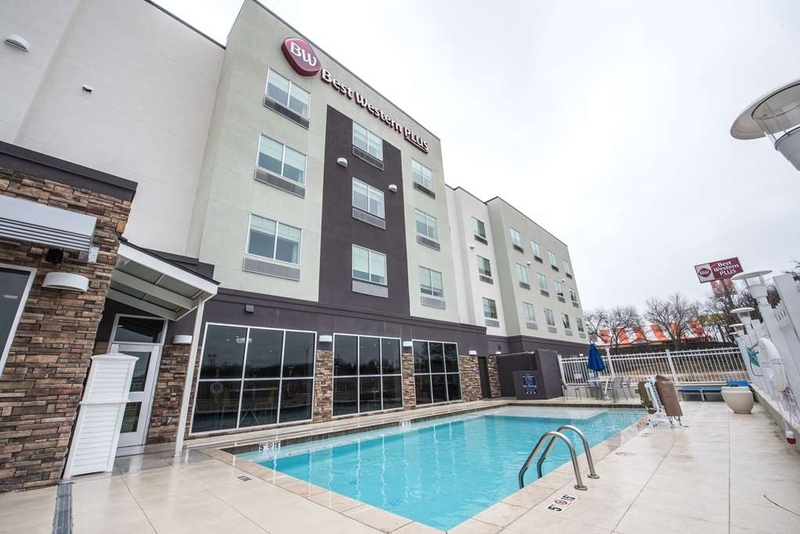 "Happy Holliday San Antonio 2018"
We travel often is our diversion and went several times to San Antonio but I had not been in this, Best Western Roland Hotel very nice, absolute cleanliness, breakfast of very good quality, super clean rooms, excellent professionalism and especially the service Front desk girl called Maritza super attentive, professional I give her a 10 star. Dear Kikex17, Thank you for your feedback on your recent stay at our facility. We are delighted that you decide to stay at our property, will in San Antonio. We strive to provide to provide all our guest with exceptional customer service, Maritza is the AGM I will definitely print this review for her and let her know that her role in the hotel is outstanding. I would like to welcome you back to Best Western Plus Roland next time you are in town. Overall hotel was clean and everything was in good working order. The only issue we had was the lights on the driveway were out at night which made locating the hotel and being able to pull into the driveway after dark. Dear Seaside47534155180, thank you for taking the time to review your stay. I have addressed the issue of the lighting with the owner and he is working on the lights. We loved everything about this hotel. From the spacious rooms to the big dining breakfast area. Love the parking and must say we will definitely be staying here again when we are in San Antonio. Will recommend to all of our friends and Family. Love this hotel. This hotel was amazing! You can tell it was recently built because it has the “new hotel smell”. Everything is new, functional and clean. The only issue I had was with the fridge in my room. It didn't work. Everything else (the included gym, parking, early breakfast, location, staff) was A++! I definitely intend on staying at this location again next time I'm in San Antonio. Dear Road30872010889, thank you for taking the time to review your stay at our facility, we do appreciate your feedback and your business. We will take a look at the refrigerator, we do apologize for this issue you encountered during your stay. We do strive to keep the hotel in clean and updated conditions. 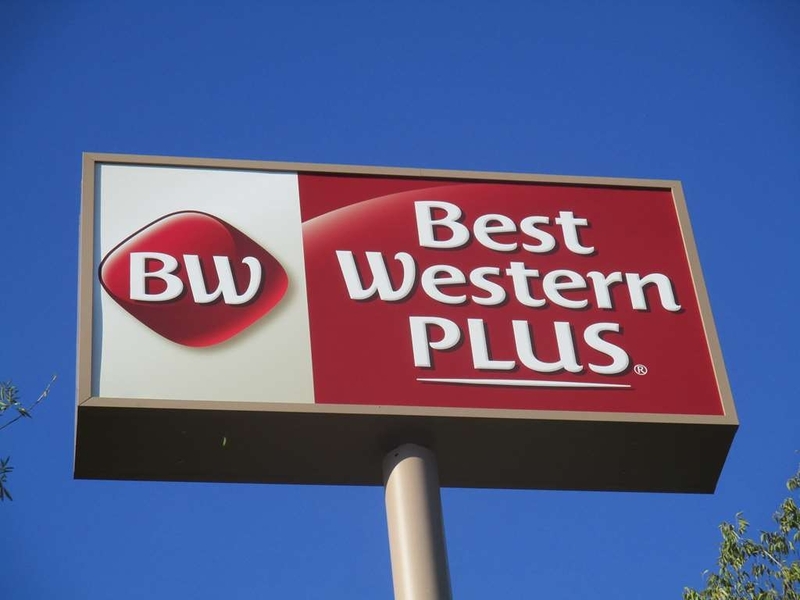 We would like to welcome you back to Best Western Plus Roland next time you are in town. Food was great, room service is reliable and fast, and the room was extremely clean and tidy. Overall service and experience was great! I recommend to anyone looking for an afforable place to stay and still have quality service. Hi Janie M, we are glad that you had a wonderful time at our hotel, thank you for your review. Hi alinnamtz91, we are glad that Maritza was very helpful to you, our staff strives to do its best, thank you. Excellent customer service. Very clean and quiet/peaceful hotel. Excellent rooms that are very comfortable. Great breakfast options. Five miles from downtown San Antonio. One of the best hotels we've stayed at in a while. Even my husband would highly recommend and he's VERY picky. Hi Kristina S, thank you for reviewing your stay at our hotel Best Western Plus Roland Inn & Suites, we are glad that you had an excellent experience. "Clean pleasant hotel with one scare"
In town for a golf tournament. Check in great. After getting to room, someone else tried to enter and would have had it not been for the security bar on door. I called front desk about this matter. They said it was probably housekeeping. To this day, I do not know exactly who tried to enter room. Housekeeping personnel normally knock before attempting to enter a room. This did not sit right with me, as I could have been undressed, etc. and whoever it was, would have just barged in, with no notice. This is bad policy. Bed was comfortable, room was clean & nicely decorated. The exception was a few crumbs left on floor from prior guest, that apparently housekeeping missed.Don't waste time on most of the breakfast items. The majority of the breakfast items were not good. I did not try waffles or oatmeal. But rest assured, pre-fab eggs,frozen potatoes, hard biscuits, watery gravy & so called sausage were terrible. Stick to breakfast pastries, and yogurt. Coffee and juice were good. Hi CynB436, thank your for your review and we are deeply sorry for the inconvience. A very pleasant experience. The staff was always very cordial. One of the elevators was not in operation, but the hotel is in very good condition. The rooms very clean and spacious. Includes breakfast, which was very pleanty and very good. Very close to the freeway. I just enrolled with Best Western and apparently there are many benefits. Hi Luisrflores, thank you for your review. It was a nicw hotel, had a great time when i came down here to see the riverwalk. Even tho it was rainy the weekend. The breakfast was good and the staff was very friendly. Would recommend to everyone. Hello Gabriela E, Thank you for taking the time to review your stay at our facility. It was a pleasure to have you while you enjoyed San Antonio. We do hope you have a great time at the RiverWalk. We do hope to chose to stay at Best Western Plus Roland next time you are in town. We came down here for my brothers graduation and once we walked in we were treated good all the way to when we checked out. The breakfast was okay. The checkout lady was nice. Have a nice stay. Would totally recommend. I was here at this property this weekend, I was very impressed the staff was friendly and very helpful with any questions we had as we are new to San Antonio. Our room was impeccable. The beds were very comfortable. I will definitely come back to this property next time I'm in town. This is the only property I will be staying at. This is probably one of the cleanest hotels I have ever been to. Everything was spotless, beds and pillows were very comfortable and all at a great price. I had a late check in and they actually waited for me to lock the doors for the night. I would highly recommend this hotel any day. Thank you Best Western Roland! America was very helpful checking us in the breakfast was good.I really liked the pool and it was very close to downtown which i liked.I would recomend this hotel to my family and everyone i know of..
front desk lady in the morning was extremely nice , very cheerful and energetic, really enjoy our stay for J.Cole concert. definitely will stay at this hotel again! Room were nicely rearranged and clean. 5star hotel! Hello Yvonnexxv01, we thank you for taking the time to review your stay at our facility. We strive to provide an excellent customer service. The morning representative has to be sharp and be able to handle all the guest complains and also all the compliments as well. We thank you for your feedback and we do hope to see you next time you are in San Antonio. Excellent staff they assisted with all my needs. The hotel was very clean and quiet. Couldn't even hear the kids swimming and I was located above the pool area. They have space to accomadate large trucks with cameras all around the grounds. Dear Victory03ccrider, thank you for taking the time to review your stay at our facility. We are delighted that you chose our facility for accommodations while you were here for the Air Force Graduation you attended, for that we thank you. Our facility was constructed in mind of guest enjoying the pool there for we have sound proof windows to prevent any disturbance to any guest. We do welcome you back to Best Western Plus Roland next time you are in town. Hello Jr L, thank you for your review. We appreciate your feedback. Our front desk agents are here to welcome you and answer any questions you may have to make your stay more memorable. We are happy that you enjoyed the breakfast variety that we offer. In advance we thank you for your recommendations, and we invite you to come back and visit the Best Western Plus Roland next time you are in town. Hello Elizabeth L, thank you for taking the time to review your stay. Our front desk strives very hard to check in our guest with curtesy, I will definitely let America know she is doing a wonderful job in assistant our guest. In advance that you for your recommendations and I would like to invite you to Best Western Plus Roland,next time you are in San Antonio. It was the best i loved it they did a good job in everything and everything was clean , the lady in the front desk was nice ?? everything was nice and i had a really good time I'll visit again next time I'm here. ?? Hello Alondra L, thank you for taking the time to review our facility. We are delighted that you chose of hotel for your accommodations while you are in vacation. 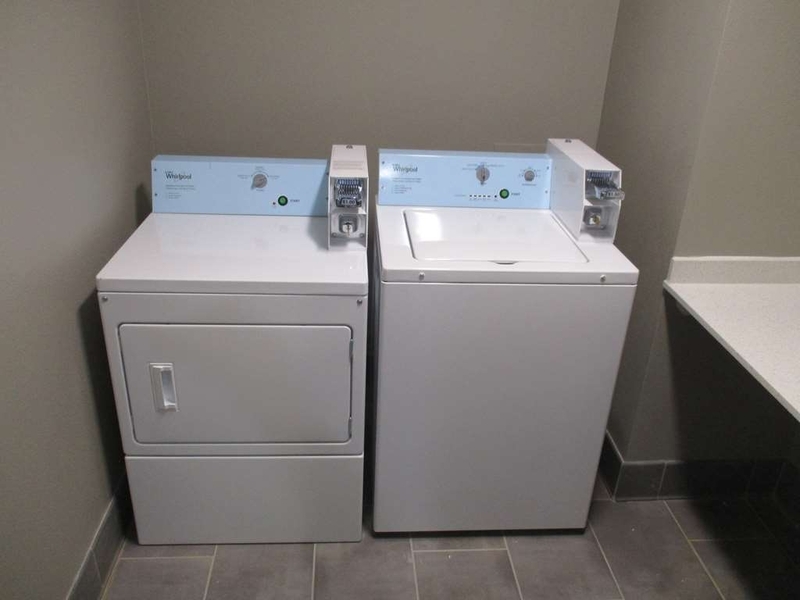 We strive to provide a clean and well maintained facility for our guest. We would like to invite you to stay with Best Western Plus Roland next time you are in town. This hotel is the Best. I enjoyed my brief stay. I will definitely be staying there again. The breakfast was very good. The Front Desk staff were helpful and very courteous. Housekeeping staff work very hard to keep the rooms clean. I reccommend this hotel. The location is close to downtown San Antonio. 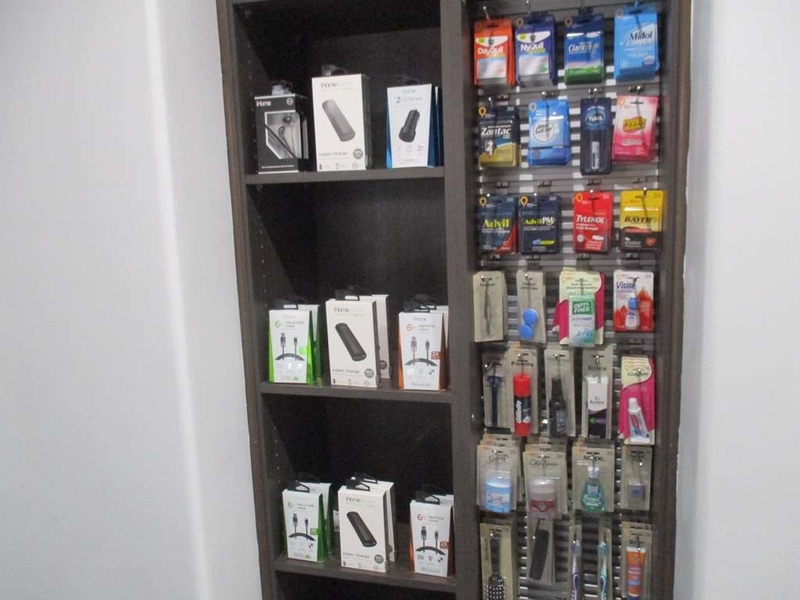 Hello Kemba S, thank you for your review. We are delighted that you enjoyed your stay at our facility. We are happy that you enjoyed our variety breakfast. Thank you for your feedback. it vas a clean and quite hotel. stayed for 3 days, everyone was kind and comprehensive about me and my family checking in early. they had very tasty breakfast and a great pool. my kids loved it and did not want to leave. I highly recommend this hotel for your stay. Let's start off by everything was AMAZING.It was the BEST hotel, very clean and nice plus hot breakfast. The staff was helpful and polite. Pool was nice. Would definitely stay here again When I travel to San Antonio. "A quick get away from home"
This past weekend my husband and I decided to get away from home. We search a couple of hotels but this property caught my eye. It was very beautiful, clean and beat of all all the staff was very professional. The breakfast was very hot and delicious. I liked that they had a variety to chose from. The pool is right outside from the breakfast room. The rooms was very clean and it smells new. I have been reading a couple of reviews and I don't think they are fair with the staffing they all go out of their way to make you feel comfortable. This hotel is brand new very modern from the lobby all the way to the room I loved the pool outside very clean and large the breakfast was fantastic a lot of variety of food. I will definitely stay at this hotel again and again. "Despite good reviews, terrible experience"
Unfortunately, I had a terrible experience. I chose this place because of the apparent good reviews. They had terrible customer service. They told us we were in the wrong place and did not have a reservation without checking our confirmation number. They did not have a room available for us. They offered us a one-bed bedroom for four people. It happened to be on a crowded weekend, so we had two people stay and the other two stayed elsewhere. Breakfast was not fully cooked. And to top it off, they charged us twice for the room. I was unable to write a review because they marked us as a "no show", instead of informing they did not have a room available for us. Avoid the hassle and don't go there. We stayed at this property and we were extremely happy with the whole experience we had at the hotel. The hotel staff was extremely pleasant. I will stay here again the next time we are in San Antonio. The hotel was not in river walk, instead it had free parking, good breakfast and peaceful atmosphere. We really enjoyed. If you have kids, I recommend this hotel to you. The pool was small but very clean. Amazing Service! Maritza was great with us, she's very friendly and helped us with our keycard problem! The hotel was nice and quiet, had a great breakfast selection and a nice view. Very nice environment. Would definetly come here again on my next trip to San Antonio! ?? I am pretty picky in where I stay, at Best Western everything was amazing and very clean. They serve really good breakfast.We would definitely be back if we ever come back to San Antonio. I highly recomend it. We stayed for two nights during our cross country trip and loved this place. 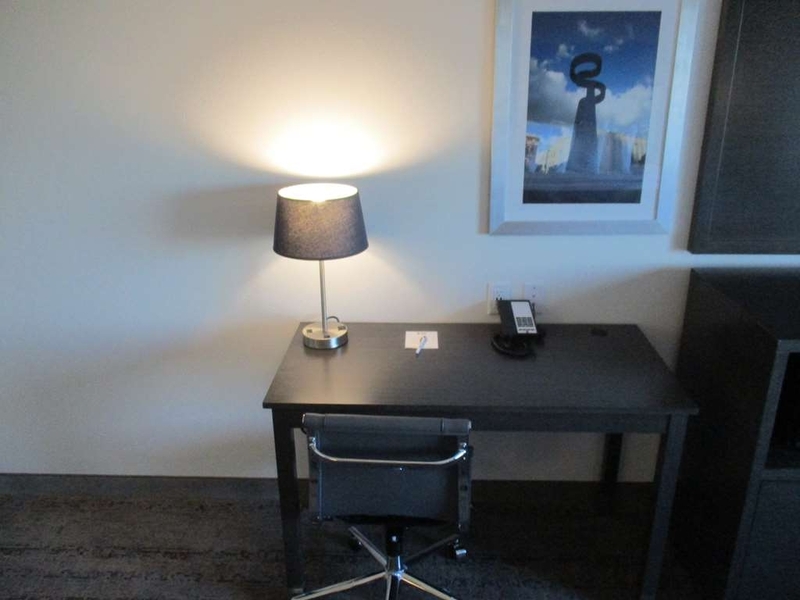 It is a quick drive to downtown and much less expensive than the hotels there. It is brand new, clean, and the breakfast, along with customer service, are outstanding. Would definitely plan to stay here again. My family and I stayed at this hotel for a quick weekend getaway to San Antonio. The property is new, and smells like a brand new house. The front desk staff was wonderful, and the free breakfast was awesome as well. The location is great, it is maybe a 10 minute drive to downtown, and is right down the street from the famous Big Lou's Pizza! Dear Ramiro S, Thank you for choosing to stay at our Best Western Plus Roland Inn & suites. I am glad to hear your stay with us was comfortable and enjoyable for your entire family. We are close to be a year old since we opened and we strive to keep it clean and smelling like a new hotel. The entire team tries very hard to make sure that every guest has a wonderful stay. We are very delight you tried our famous Big Lou's Pizza. We do welcome you and you family back to Best Western Plus Roland Inn & Suites when you are in town. Enjoyed our stay there. Everyone was very nice and welcoming. Rooms and closet are very roomy. Breakfast is free and different each morning. I highly recommend for big families. They have a gym and of course a pool. I will be staying there every time I visit San Antonio ?? Dear Maria R, thank you for review,it was our pleasure having you stay with us at Best Western Plus Roland Inn & Suites .I hope you enjoyed the facility.I am so pleased to hear that you enjoyed you stay with us, our staff prides on the service that the guests receive and we try to make sure every guest feels welcomed . We thank you again for choosing to stay with us and look forward to serving you again when you are in town. Our stay was exceptional. We were most pleased with the employee that maintenance our room, Dee. Her friendly, kind and helpful service made our experience perfect. Very clean, great location for our Sea World trip. Hello Tisha B, thank you for taking the time to review your stay at Best Western Plus Roland Inn & Suites. We strive to provide excellent customer service. I want to thank you for taking the time to talk about our employee. We strive to provide all our guest with a clean and enjoyable experience at our hotel. We do hope to see you again when you are in town. We ended up staying several nights on short notice after our original hotel room arrangements turned out not as advertised. There's nothing like a dirty, run down hotel experience to make you appreciate one that is new, clean, and ran by folks who care about the details. What can I say that hasn't already been said by others? Both common areas and our room were fresh and well maintained. Housekeeping did an excellent job. Checking in was friendly and efficient, and we were always greeted while we were coming and going through the day. Fresh coffee, lemon water and cookies were available throughout the day. We loved the free breakfast and appreciated that there were several choices. The food was hot and replenished regularly. We enjoyed the large common dining area and used it often at different times through the day. For us, the location of this hotel was perfect. As others have noted, it's not near shopping or much in the way of restaurants, but this was great for us as we were heading in all directions through the week anyways. It didn't take much time at all to get anywhere. We will definitely be back the next time we are in San Antonio! Dear Alaena, Thank you for choosing to stay at our Best Western Plus Roland Inn & suites. I am glad to hear your stay with us was comfortable and enjoyable. The entire team tries very hard to make sure that every guest has a wonderful stay. We do provide a variety of breakfast menu since we would like all our guest to try different items while staying at our property. We look forward to you having stay with us again. 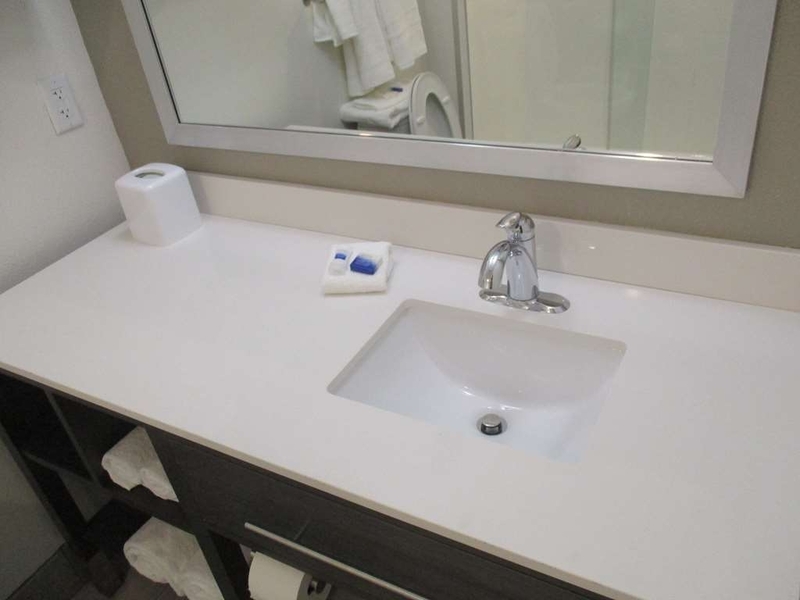 "Very Nice Clean Contemporary Hotel"
This hotel is fairly new and very well kept property. The check in clerk was exceptionally helpful on Sunday, June 10. She assigned us to a very nice, quiet, clean room. The bed was comfortable as well as the room on an exceptionally hot day. We stayed two days and we were surprised after spending the day sight seeing that our room had not been serviced. Apparently a lot of housekeeping people called in. The clerk made it right by putting us in another serviced room next door. The room was also discounted. This property deserves and receives my "hard-to-come-by" KUDOS. Dear Clamper5, Thank you for choosing to stay with us . I am pleased you had a fantastic stay with us , but i do want to apologize for the inconvenience caused by the housekeeping . I promise you we are currently working with housekeepers diligently to get this resolved. 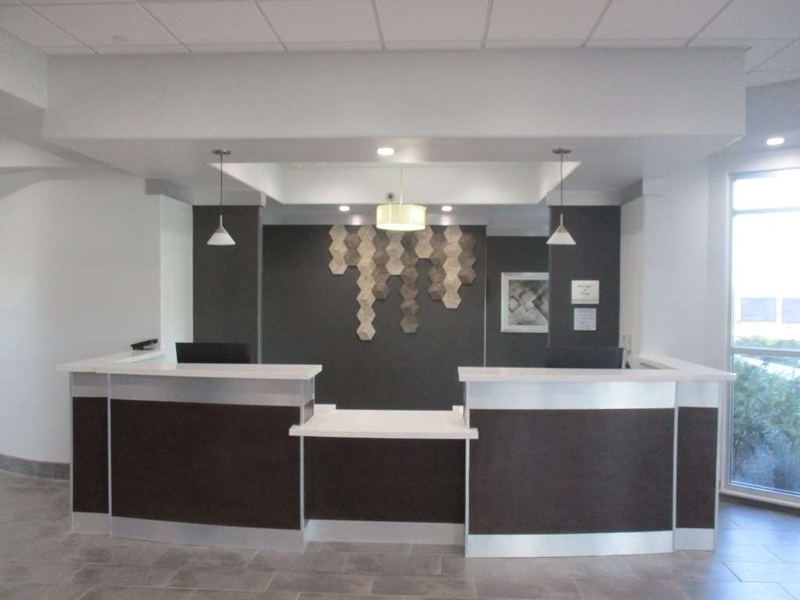 Our front desk is trained to accommodate your guest when they are dissatisfied. We do hope that this error will not cause you not to come back to our facility, on the contrary we welcome you back, so we can prove to you that we can make it up to our guest. Nice, new facility. Large rooms and great breakfast. Pool was very dirty and unacceptable. It was disappointing for the kids. We had to wait for a room to be cleaned before we could check in. Did not receive response to my email to customer service regarding our concerns during our stay. Disappointed in lack of customer care from Best Western. Hello Jennifer S, we do apologize for the inconvenience you encountered during your stay. Our check in time is at 3 PM, if we have the rooms ready before we would gladly check you in. We do apologize for your hotel not being up to your standards, but we do hope you give us another opportunity. Beautiful hotel!! 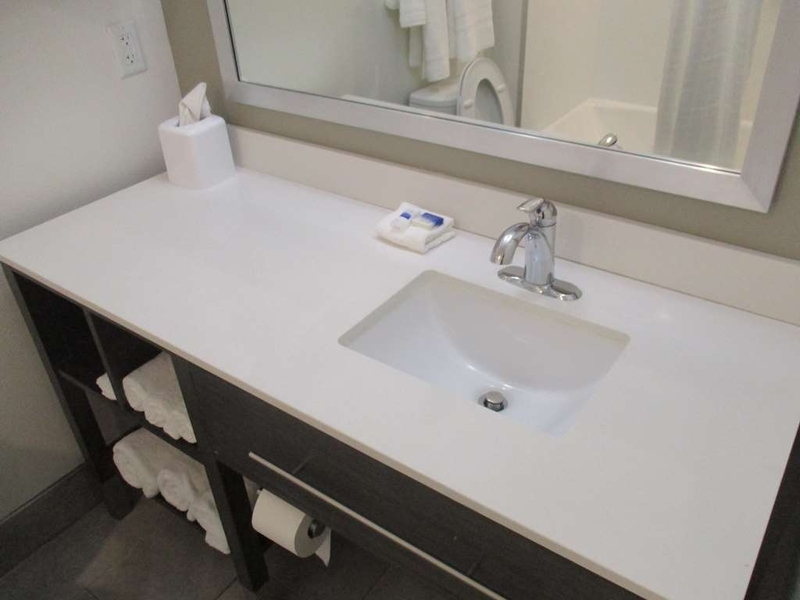 Very clean, very accommodating! Only had one issue that I feel needs to be addressed. Upon checking out early morning on 6/1/2018 the employee did not respond while repeatedly ringing the bell at the desk and I could hear him Very Loud and Clear SNORING in the back. Very unprofessional!! Hello Jodyr723, my apologies for the inconvenience during your stay . your review is very important to us and i will definitely discuss this with my team so we can take care of the issues mentioned . 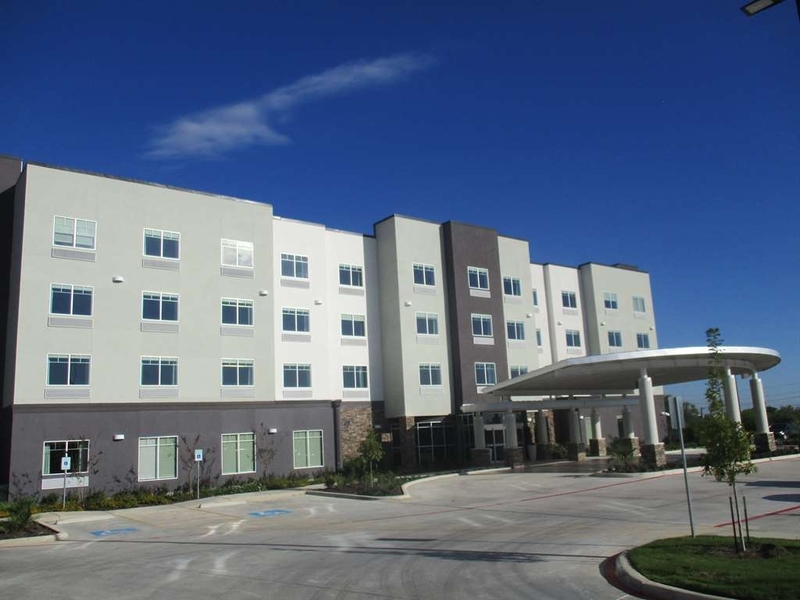 New hotel in quiet area, close to downtown San Antonio and Mission Trail. Staff was very friendly. The hotel and property were clean and orderly. I would recommend this location for anyone who wants to be close to tourist activities, but not stay in the thick of things. Dear Junk74box, thank you for review . it was my pleasure having you stay with us at Best Western Plus Roland Inn & Suites .I hope you enjoyed the Mission trail. I am so pleased to hear that you enjoyed you stay with us, our staff prides on the service that the guests receive and we try to make sure every guest is felt welcomed . we thank you again for choosing to stay with us and look forward to serving you again when you are in town. Best Place to stay for overnight or for an extended stay. The place is very clean and well managed. Tha staff is very friendly and well trained. The loction is ideal for closeness and yet far enough way to excape to heavy volume of out of town visitors. 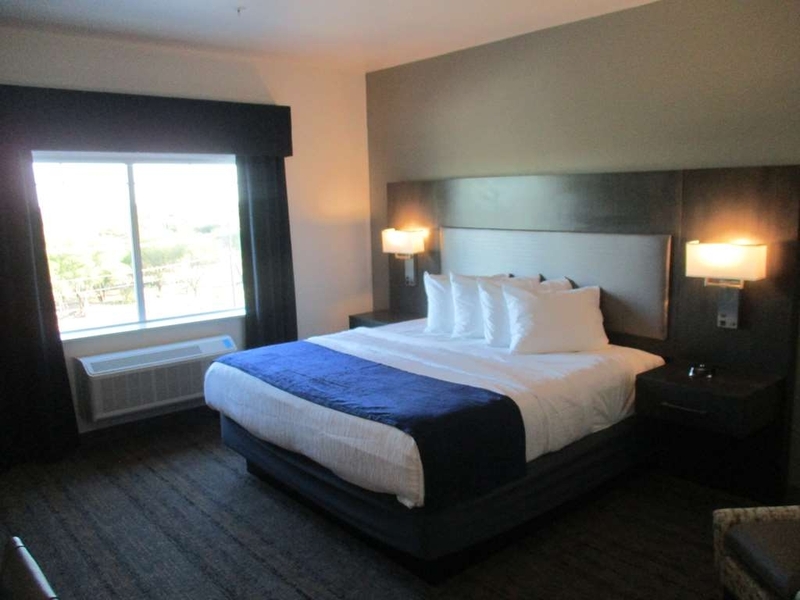 Dear Rdtucson, thank you for taking the time to review your stay at Best Western Plus Roland Inn & Suites. We are delighted that you enjoyed your entire stay, We strive to maintain our property as clean as we can for our guest to enjoy. We definitely take into consideration of all our guest and we train our staff the way they would like to be treated if they were a guest, we like to give all our guest a superior customer service. We do hope to see you again when you are in town. 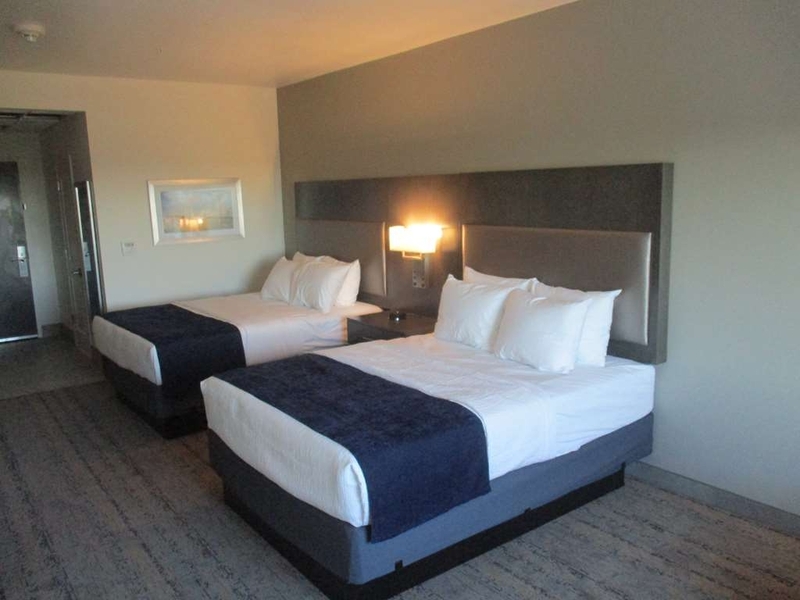 This is was one of the best bestwestern plus i ever stayed in eveything was great from you walking to check out great staff beautiful rooms and specious break fast was perfect a lot of variety to choose from i will definitely come back and stay at this hotel. "Don't Steal Money during cleaning"
Cleaning service stole money during cleaning and I was charged a different rate EVERY SINGLE NIGHT ranging from $30-$295 of my 21 night stay. Evening and overnight staff were very pleasant and professional. Dear TheGardiners14, thank you for taking the time to review your stay at Best Western Plus Roland Inn & Suites. We value your feedback it helps us improve. We strive to maintain our property clean and in great conditions for all our guest. We have added a variety of items to our breakfast items. I am delighted to hear that you enjoyed two of our amenities, the fitness center and the outdoor pool. We want to thank you once more for your feedback and we do hope to see you again when you are in town. The staff was very friendly and extremely helpful! The pool was very clean, and there were plenty of towels available poolside! We will definitely stay at this hotel again when visiting San Antonio!! Thanks for an awesome cisit! We stayed two nights during our visit to San Antonio. The staff and the rooms were excellent. It was so nice to stay in a room for more than one night. We stayed in some nice places that we had to leave the next day and some not so nice places we were glad to leave the next day. This is one we would gladly visit again. Hello Friedahersey, thank you for taking the time to review your stay at Best Western Plus Roland Inn & Suites. We value your feedback, it helps us improve with our future guest. We are delighted that you enjoyed your stay, we do hope you come back when you are in town. "Juanes and Mon Laferte at Freeman Coliseum"
This is a great hotel. Everything was super clean since the time you go into the property. Clean parking lot, excellent lobby, nice breakfast, and the room was perfect. This a well maintained property, I will comeback in my next trip to San Antonio. It is close to downtown, Freeman Coliseum and AT&T Center. The best part...there is a Whataburger next to this Best Western. Hello Esteban thank you for taking the time to review your stay at the Best western Plus Roland Inn & Suites. We value you as our loyal guest. We are happy you we very close to the Freeman Coliseum for your event, we are about 2 exits away very convenient. We strive to provide all our guest with a clean property. We are adding new items to our breakfast menu. We do hope to see you again when you come to San Antonio. "Nice hotel out of nowhere"
Hotel is new and in good shape, relatively quiet. Nice staff, esp. Deborah. Breakfast is excellent and free. Besides a Whataburger nothing is out there. We took a Uber taxi to go to Alamo. So all in all a very affordable and good place to stay. Dear Andreas K, thank you for taking the time in reviewing your stay. We value you as our loyal customer, we do apologize that you felt our hotel was a 3 star do to not having restaurants around our facility, maybe in the near future someone may decide to build one. We value your feedback and we do hope you consider staying in our facility again when you are in town. 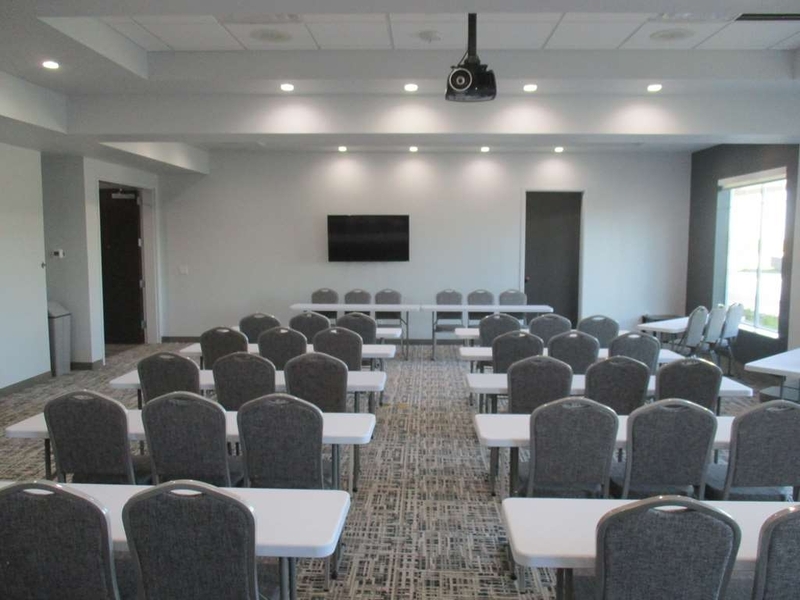 "AME Zion Church district meeting"
The meeting room is large, comfortable, and can be arranged as the customer requests. The staff was cheerful, friendly, and accommodating. They provided bottled water for attendees, and coffee was always available, as was hot water for tea. Those of us who stayed over as hotel guests enjoyed our rooms as well. They were larger than expected, and the beds were super comfortable. Checkout was simple and quick. I highly recommend the Roland Inn for business or vacation travelers. Kids will love the Texas-shaped waffles. Hi Janice, thank you for taking the time to review your stay at Best Western Plus Roland Inn & Suites. We are very pleased you and the AME Zion Church members stayed at our hotel. It was a pleasure hosting your meeting in our meeting room. We do hope you decide to have another meeting and our facility. We strive to provide all our guest with a clean facility. The hotel was clean and modern. The hotel staff was super friendly and helpful! There was fresh eggs for breakfast which is rare. The room was also amazing! I would have given this hotel a 5 however the water pressure in the shower was terrible. It took forever to get all of the soap rinsed off. I would definitely stay here again once the water was fixed. We did bring this issue up to the manager. She stated it was being worked on and offered to reduce our bill. Unfortunately we booked through expedia so she was unable to apply the discount since the room had already been paid in full. We greatly appreciated the offer however! Hi Anthony, Thank you for taking the time to review your stay. We appreciate your feedback on your stay. We are glad you enjoyed your stay. We strive in giving all our guest a fresh and tasty breakfast as its the most important meal of the day. We serve fresh cracked eggs daily for our breakfast. On the water pressure issue we are sincerely sorry, as of this week they have been working on it issue, the owner bought a booster that will help with the water pressure. We do hope you give the hotel another opportunity when you are in town. What a wonderful experience! Everyone was so friendly and helpful. The rooms were great, the meeting room had all the amenities. I'm so excited that it's so close to our Church, we will definitely use them again. Hello Kris N, thank you for taking the time to review your stay at Best Western Plus Roland Inn & Suites. We are very pleased you and the AME Zion Church members stayed at our hotel. It was a pleasure hosting your meeting in our meeting room. We do hope you decide to have another meeting and our facility. Check in- Easy and quick- front desk staff was very nice. Room- appeared brand new. VERY clean except Bathroom floors were dirty and sticky. Beds- hard- good only if you prefer a firm mattress. View from room- terrible BUT it was quiet and spacious. Pool- too cold to swim. The pool itself needed a good cleaning and the door to the pool needs to be locked or key card access since a small child could easily run outside and fall into the pool if not careful. Breakfast buffet- a lot of variety- muffins, toast, pastries, English muffins, oatmeal, 3 types of fresh fruit, eggs and sausage, yogurt, waffles, cereal, juices, coffee and tea Staff- friendly and helpful. Gym- adequate with 1 bike, 1 elliptical, 2 treadmills and some weights with 3 weight machines and medicine balls but they need to have floor mats for stretching and hand sanitizer. I used the towels to create my own mat. location- right off highway- close to downtown- 5-7 min drive. great location. Hi Nyja44, On behalf of our entire team, I would like to apologize for not exceeding your expectations. Your satisfaction is important to us and we will be using the feedback you gave us to implement improvements to ensure we offer a better experience for guests in the future. I hope that you will consider staying with us again so that we can have another chance to provide you with a superior experience. On the gym we do have the sanitized wipes, to wipe down the machines and your hands. We are happy you enjoyed the breakfast. We do hope you give the hotel another opportunity. "Awsome hotel even better staff"
Hotel was nice and clean great breakfast..but what made the stay better was the amazing staff..everyone was nice and willing to help. front staff was what made the stay amazimg Melinda is a rock star..
Hello Texan4life03, thank you for taking the time to review your stay at Best Western Plus Roland Inn & Suites. We are very delighted you had an amazing stay, we do hope you had a restful stay. We strive in providing exceptional customer service. I will definetly let Melinda know she is doing a wonderful job. We do hope to see you again when you are in town. "Does a Lot of Little Things Right"
Stayed the night of Thur Apr 12 while my son was doing a college visit to Trinity the next morning. Just a 9 minute drive to Trinity. The little things that mattered: Fantastic front desk - welcoming as soon as I entered the door, cheerful, efficient and helpful with useful info. 24 hr coffee (tasty), tea and lemon water station. 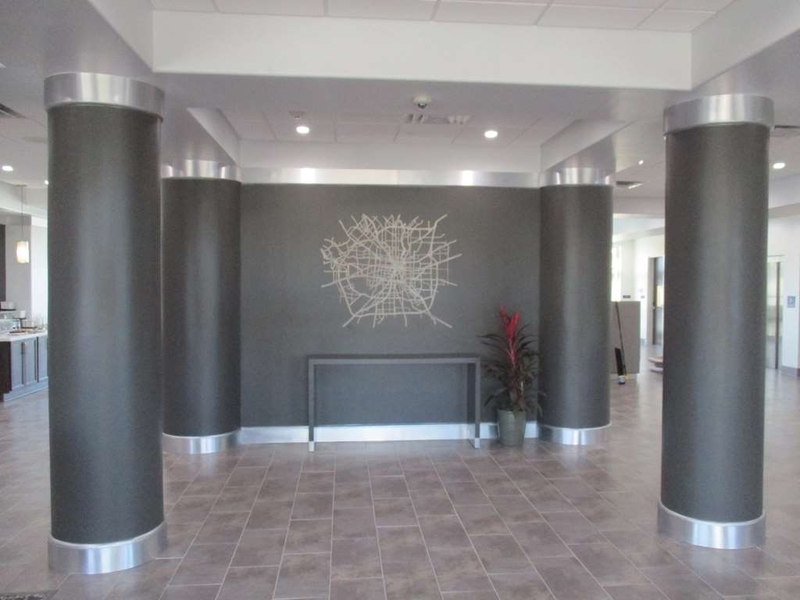 Cavernous clean modern lobby. Super clean, oversized standard room. Quiet - never heard another guest above, below or beside. Got deep sleep in comfy bed with plenty of extra pillows. Better than average included breakfast that starts early (6am). Room rate was $30-$50 cheaper than other comparable properties. Newer building, nice area and a pool to boot. The only reason I would not stay here again is if I had to be within walking distance of the Riverwalk. Even so, you're still only a reasonable uber away. 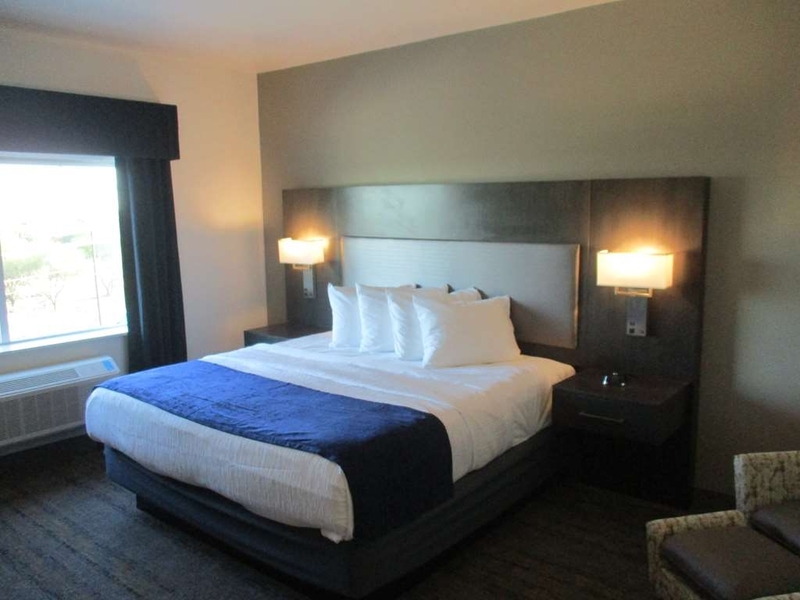 If you don't need closer proximity to downtown, this Best Western is a great option. Outstanding! Clean and very good breakfast. The staff was very nice and helpful. Rooms were first class. It's a new hotel with a comfortable bed. The workout facility had quality machines including cables and treadmills. Hello Terrisdreams, thank you for taking the time to review your stay at the Best Western Plus Roland Inn & Suites. We are very happy that you were satisfied with the entire hotel. We strive in giving all our guest with our exceptional customer service . 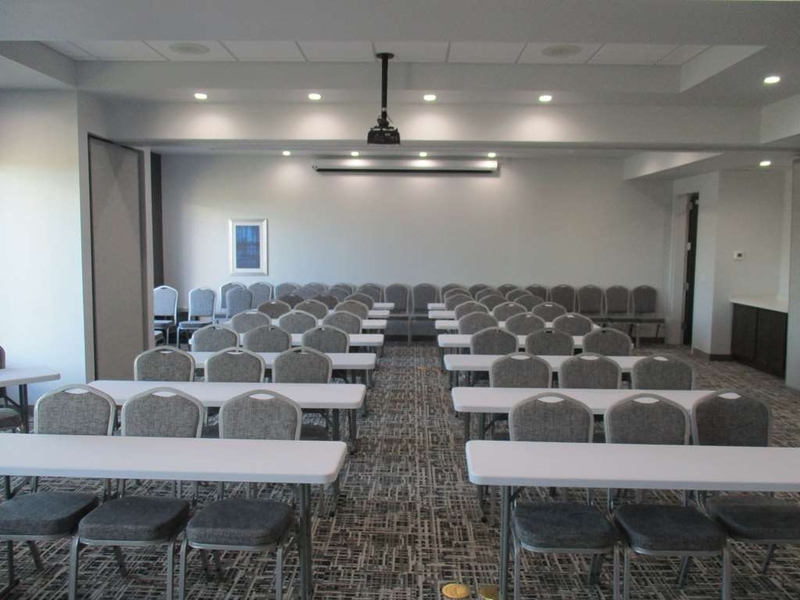 We are a brand new hotel that was just recently build in 2017 and we opened in November. We are delighted you had a great night sleep. Our fitness center has a variety of equipment and we are happy you used the cables and our treadmill. We do hope you stay at the Best Western Plus Roland on your next trip to San Antonio. New property, great room and excellent customer service from the desk. Lobby was very nice and breakfast area was clean and breakfast was standard but nice and all hot. Room was great comfortable king bed and the room has a fridge, microwave, coffee maker. We were on the highway side of the property but noise was not an issue. Very close to the downtown attractions, only eating close to the property is a What A Burger. Nice pool but only 4 1/2 feet deep, great to cool off in. "Nice new property in convenient location"
We were a family group of 9, in town for the Final 4. This property was a bargain. 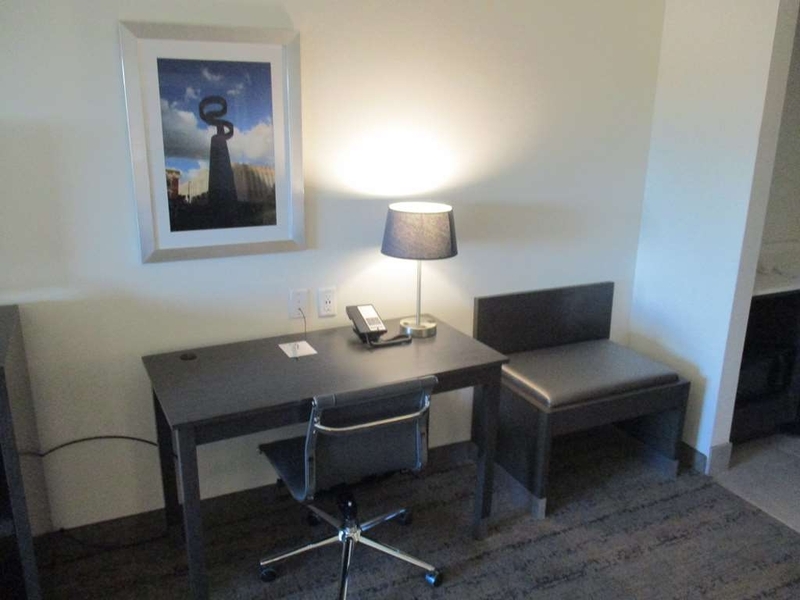 Great room rates and good location for downtown, river walk, alamodome, and airport. Service, decor and comfort all well above expectations.Noise from nearby freeways detracted a bit from use of pool area, but inside it was quiet. Hello Patrick, Thank you for taking the time to review your resent stay at Best Western Plus Roland Inn & Suites. We are delighted you enjoyed your stay with your family for the Final Four. We are very happy you enjoyed your rooms. We strive in providing all our guest with the at home feeling that will make them comfortable. 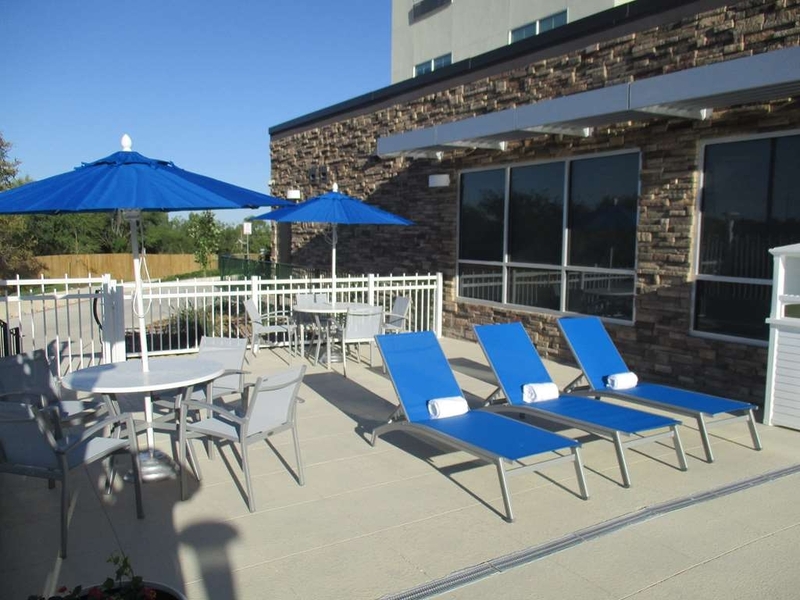 We are happy you enjoyed one of our amenities, the pool. Unfortunately since we are close to the high way we can't really do much about the outside noise by the pool, but inside the facility you can't hear the noise for outside. Overall we do hope you will come back and stay at our property. 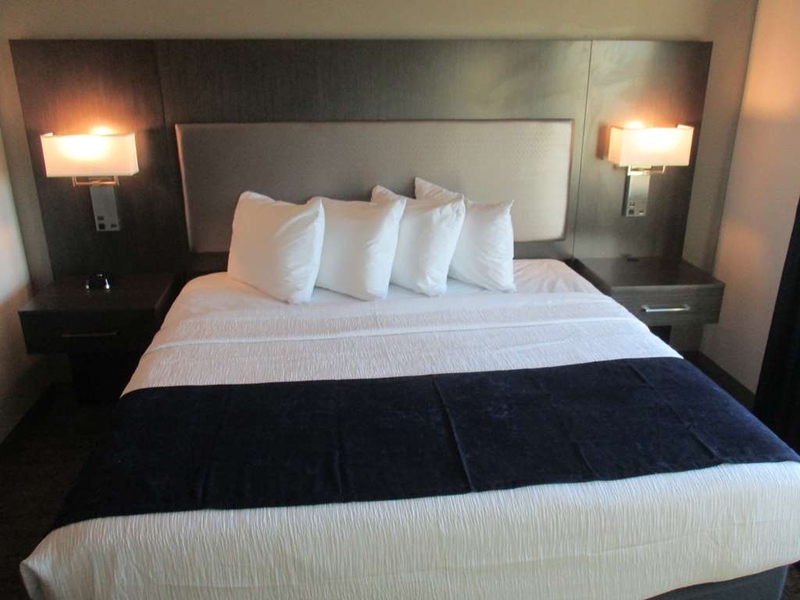 This newly renovated hotel is an excellent value. Wonderful breakfast and great fitness center. Only 10 minutes from downtown where my conference was held. I like that a Whataburger is next door for cheap meals. Hello, valued customer thank you for taking the time to review your resent stay. We value your feedback, it helps us improve. We are a new facility that just opened on November 2017, we are happy that you enjoyed your stay at our property. We are happy you enjoyed our facility and our amenities. We hope to see you again when you are in town. My boyfriend and I decided to take a trip to San Antonio to celebrate our anniversary. I decided to go with this hotel since it seemed very nice and clean and was only a 10 minutes drive to downtown. We loved staying here. The staff was very friendly, but there would be a couple of things I would change. I wish there was a daily assortment of different breakfast foods offered, the bedding wasn't too plush, and the water pressure was horrible, but overall our stay was very good. Hi Karinagarza21, thank you for you review, your feedback helps us improve. We are happy you decided to come celebrate your anniversary with your boyfriend, we do hope you had a wonderful time. The owner is working with the city to get the permits to get some booster for the water issue. We do hope you give us another try when you are in town. This hotel was spotless. I didn't wake up early enough to enjoy the free breakfast but was glad they have free coffee and fruit infused water on the counter ready to go.Everything was great except the shower. They have soft water and there wasn't enough water pressure to take a quick shower. It took a long time to get the soap off with the soft water, and the water pressure was weak. Great mattress, slept like a baby! Hi Lcordova44, thank you for taking the time to review your resent stay. We are glad that you enjoyed your stay. We are happy that you slept like a baby in our mattress. We offer free coffee and infused fruit water at all times for our guest to enjoy if they missed breakfast. The water pressure is going to get fix soon we are waiting for the part to get shipped. We do hoe you give us another opportunity when you are in town. We enjoyed staying here. We came for pleasure and found it to be a nice and clean hotel for the weekend. It is close to the AT&T center. Note: restroom lock didn't work, and there's not much eateries close by, but other than that, it was worth the stay. Hello Mirirey, thank you for taking the time to review your resent stay. We are delighted you enjoyed your stay. We hope to see you again. 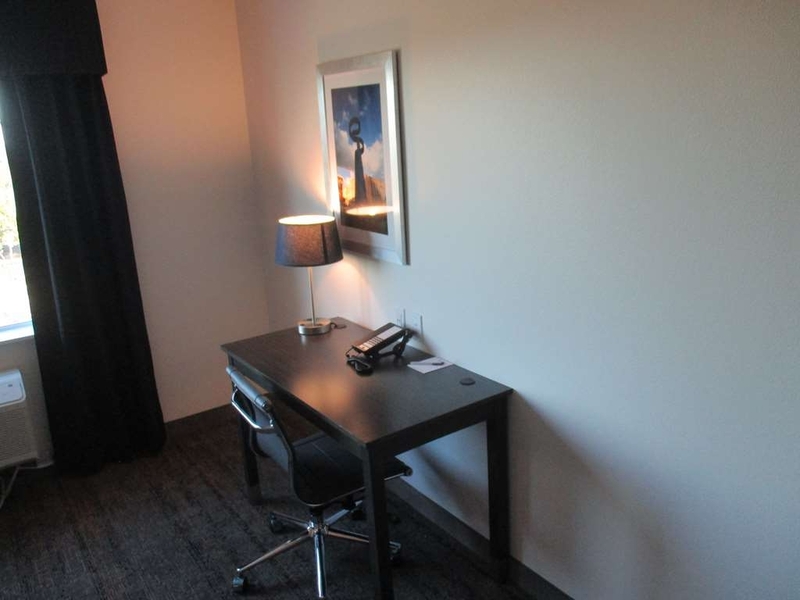 The hotel is new and easily accessed from Interstate 10. I highly recommend the Hotel and will stay again. The young lady who checked us in was Outstanding. She was very helpful and knew the area, she provided us great directions and helpful hints on our stay in San Antonio. Hi Robyn H, Thank you for reviewing your stay at the property, we strive in providing all our guest with exceptional customer service. Your feedback helps the hotel improve were its needed. We do hope you enjoyed your stay. We hope to see you again. Hello, thank you for taking the time to review your resent stay. We value you as our loyal customer. Your feedback helps us improve were is needed. We are committed to our guest our superior customer service. We try to give all our guest "the at home feeling".We hope to see you again when in town. Hello, Thank you for taking the time to review your resent stay. We are very happy your enjoyed your stay. We strive in giving all our guest superior customer service. We do not have safes in the rooms but we do have the safety deposit boxes. The owner is working with the city to fix the water pressure issue. We welcome you to stay at our property again. The staff was very friendly, food was great. We will definitely stay here again! The hotel was new and super easy to get to the hotel and back to the AT&T center. The rooms were very clean and roomy, lots of space for a family of 4 plus a couch. Hi Angela S, thank you for taking the time to review your resent stay. We are glad you enjoyed your stay. We are glad you enjoyed your spacious room. We hope we see you again. I stayed here for a business trip I had. I really liked the staff they helped me get directions to were I needed to go. I asked them for recommendations for dinner. The housekeeper who did my room was amazing very clean and sparkling smelled very fresh. I will stay here again when I come to San Antonio. 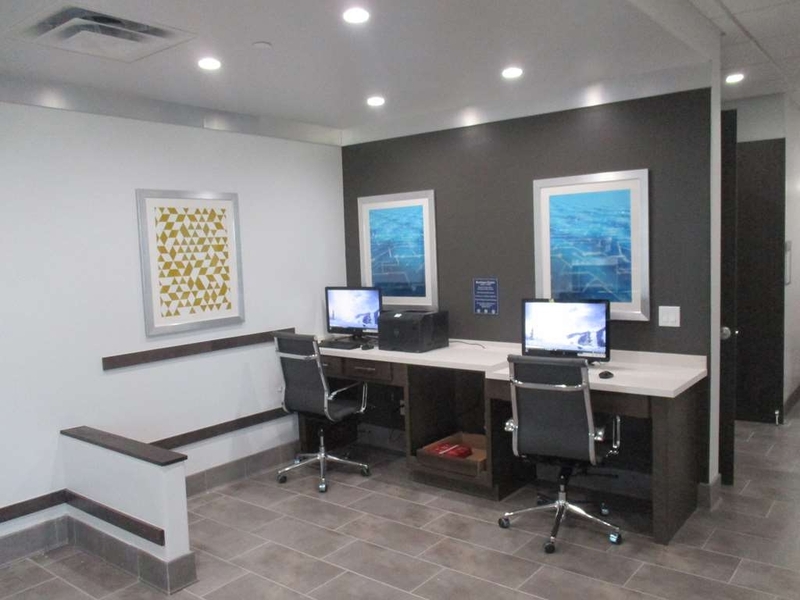 Dear value Customer we are glad to hear from you that you enjoy our new best western plus hotel in san antonio and we want to thank you for taking the time and giving us the fee back . We really enjoyed the excellent staff. Our pet kitty, Sonny, enjoyed the pet friendly stay! Breakfast excellent. Fitness gym and pool nice and clean.The owner was on site and hands on management skills. "Gem of a property on the east side of San Antonio"
We know nothing about San Antonio but were driving through due to a cross-country trip. We had originally booked at the Best Western Alamo Inn (which I would NOT suggest to ANYONE) and had to walk out of that reservation due to mold and bugs. We rebooked at this GEM of a hotel and we are soo glad that we did. If you have a car, it's just a short drive to the Alamo and the Riverwalk. I assume it's probably a relatively cheap Lyft/Uber as well and honestly, even if a Lyft/Uber is pricey, it's worth it for this property. The property is brand new and the staff is very nice. I called earlier in the morning to advise them of the issue at the property we were at to ask if we could get an early check-in. They eagerly accommodated us. 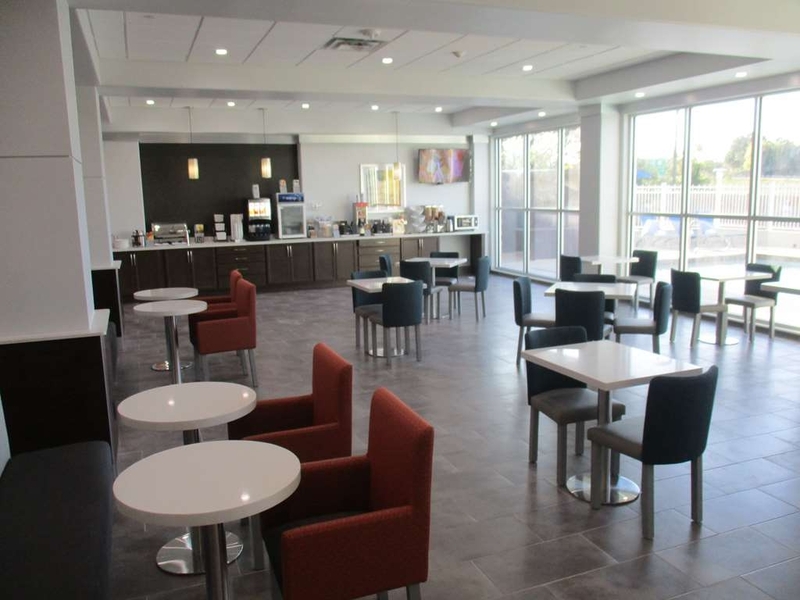 They have a beautiful lobby area, spacious and clean rooms, and no mold. The property is very well lit and there is an outdoor pool that is also new. The parking is really easy and again, really well-lit. While I'm not sure that I'll be back in San Antonio anytime soon, I would definitely recommend this to anyone traveling through San Antonio on the I-10 for very easy freeway access or to anyone who doesn't mind a short drive into the Riverwalk zone. We didn't get a chance to enjoy the breakfast because we woke up too late but I can tell you the breakfast area was very clean as well. Do yourself a favor and visit this property ... please forego the Best Western Alamo. Ugh! Hello Kristi, We value you for taking the time to review your resent stay. Your feedback helps us improve. I am sincerely sorry that you had a bad experience before booking at our property. We try to provide each guest with exceptional customer service. We do hope one day you decide to come to San Antonio and stay at our property again. "Great hospitality, would definitely recommend to others." Location was convenient for me as I was traveling through I-10 west. I really enjoyed the bed and pillows as I was super tired from a long day of work. I decided to stay another night here because I was traveling back to Houston the next day. Breakfast was good, the waffle machine was awesome because I threw in chocolate chips while it was being prepared. The stewardess was very friendly to me and all customers who visited. I would recommend this hotel to anyone passing through. Jeff C, thank you for taking the time to review your resent stay. We are very pleased to know that you had a great rest. Our breakfast buffet is designed for all our guest to be able to make their own creations. We are glad you took advantage and made a chocolate chip waffle. At this property we strive to give all our guest superior customer service. We do hope to see you again. I had to go out to the car before 5am and get bags together. Had the best security I've seen at a hotel. Great communication between staff to insure safety. We will be back. Breakfast was excellent just wished it was warm enough to swim. Maybe next time. Thank you Chancstan, We value your feedback. We stive in providing our guest with superior security for all. We value you as our guest and hope to see you again. "Best Best Western I've Been To"
This was one of the best Best Western Plus I've stayed in. Brand new, built in fall of 2017, beautiful lobby, large room, professional staff. Breakfast was included and had real scrambled eggs. This reminds me more of the Hilton's I've stayed in. I was just passing through, and this made me consider staying another night, but if I'm ever looking for a hotel in San Antonio, this will be at the top of my list. Thank you Dougg793, we value you as a valued customer. We are very pleased you have compared us to the Hilton's that you have stayed at before. We provide fresh eggs and one meat item plus our pastries, we believe that a great breakfast in the morning will have our guest start their day better. We hope to see you again when you are in San Antonio. This hotel is fantastic! Very pretty decor. Service was excellent. 15 minutes from everything on our itinerary. Breakfast was great too! We enjoyed the chocolate chip cookies for a bedtime snack every night. Thank you italybound2017, we do appreciate your feedback on your resent stay. We are delighted you like the decor. The chocolate chip cookies are a way for us the say thank you to our guest. We do hope to see you again when you stay in San Antonio. It wasn't my plan to stay in San Antonio for three days, but things happen. It was a pleasant place to be, nice hotel, and amenities. Breakfast was great and my son loved the fitness area. I recommend this hotel to all travelers. Thank you nataliesH9110RB, we appreciate your review on your resent stay. We are happy that you enjoyed your stay even if your plans changed. We are glad your son enjoyed the fitness center. We do thank you for being a customer and hope to see you again when you are in town. "4th leg of our trip"
Hello Gail K, Thank you for your review on your resent stay. We value your feedback. We are happy that you enjoyed your stay. It is really awesome that you can use your points to get free nights with the brand. We hope to see you again. "Best new hotel ! " I LOVE this hotel! This is brand new and everything is amazing! The check in was quick. The free wifi is a plus! The room is amazing,so clean, nice, quiet. We are a family of 4 and this is perfect for us. There is a microwave and a fridge. The hot breakfast is perfect with many options. There is a Whataburger next door if you are hungry. This hotel is about 2 exits away from the AT&T center and about 5 mins to downtown. This hotel is a gem! The staff is very friendly.Don't pay for a hotel downtown and parking, free parking here ! We come to San Antonio often. Stay here you will love it! We will stay here again in the future. Thank you, Texteacher02, for your feedback on your resent stay. We appreciate your loyalty to the brand. We hope you enjoyed your stay. 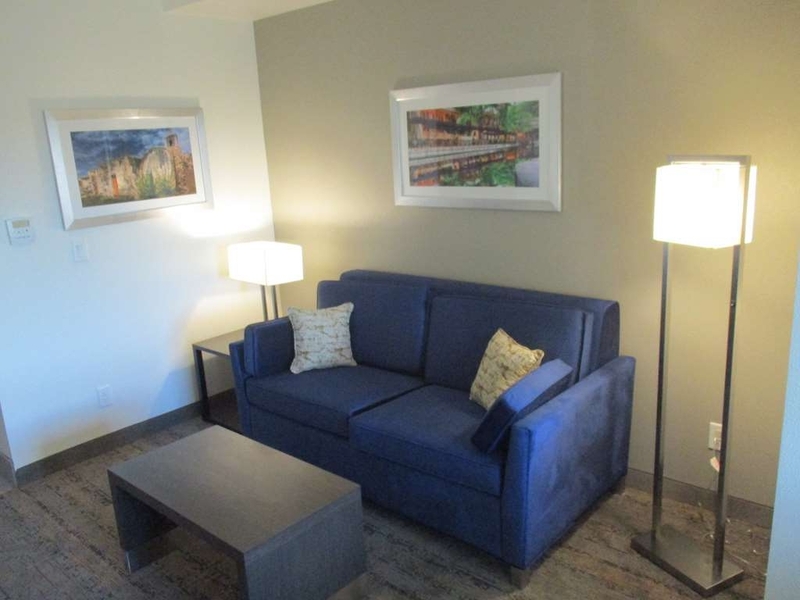 We do have all this amenities, and yes guest can take advantage for the free parking. We hope we see you again. 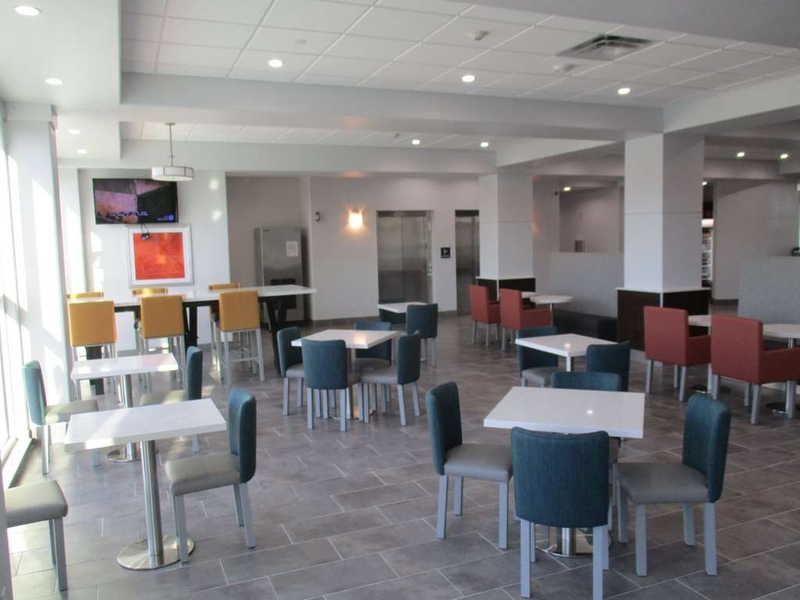 This hotel opened in Fall 2017 and is in perfect condition as would be expected. It was flawlessly clean, comfortable, and modern. Fresh-baked cookies were available in the evening. 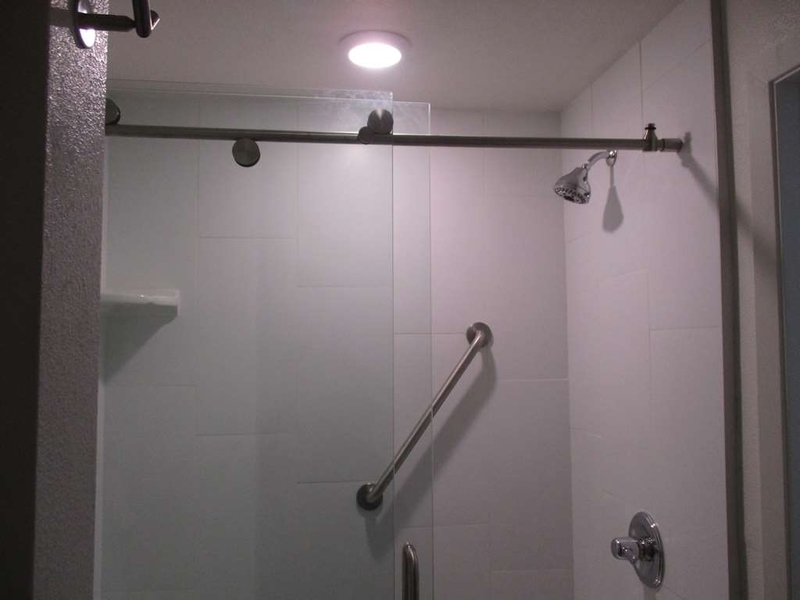 If I had to gripe about anything, the shower head provided a rather weak flow of water, but that's about the only complaint I can come up with. Friendly staff, easy access off the interstate, fast free wifi. Thank You ajnuff, for taking the time to review your resent stay. We appreciate your feedback. The water pressure the owner has been adviced and he is solving the issue. "The best Best Western that we've stayed in!" This hotel is very quiet and peaceful and meticulously spotless. It is only a month old and this place will soon be the new hot spot for travelers and vacationers. Located just off of I-10 and US 87 and it took us 8 minutes to get back to the hotel from The Alamo, tonight. Just close enough to not be a problem but far enough away to be out of all the traffic and activity. They have a little snack bar/store at the front desk for those late night snacks. Whattaburger is right next door, at the on/off ramp of I-10. It is a very quiet hotel....freeway traffic is just far enough (or did they use triple pane windows?). A beautiful pool and a very spacious gym with cardio and free weights. A small business center with two computers for guests. 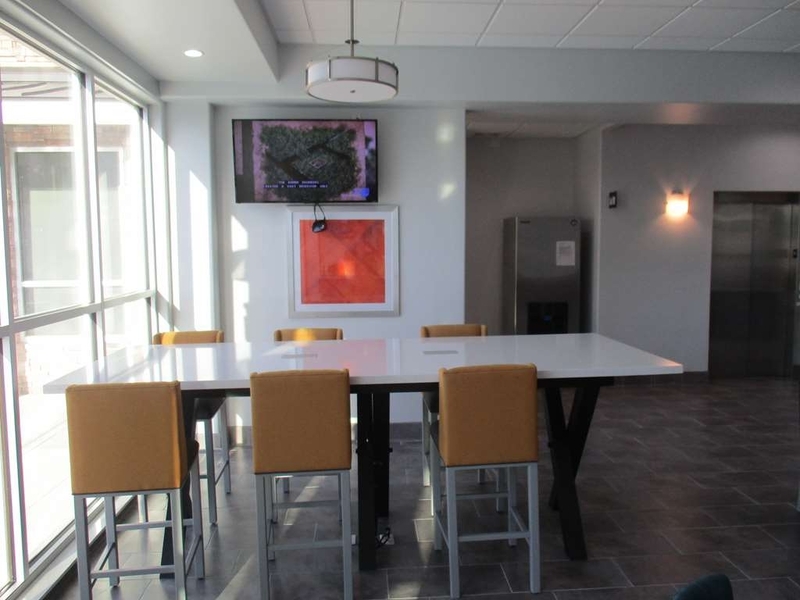 They also have a comfortable lounge with three large screens as well as a very upscale breakfast area. This hotel will soon be the new hot spot, go to hotel for San Antonio and we will certainly stay here again if we're in the San Antonio area. We are staying here for two nights, my wife and I and our two little dogs. We are still here for another night. This hotel is so exceptional that I wanted to share this review with others. I took a bunch of photos earlier this afternoon but after seeing all the photos already posted, they're exactly the same as mine. The photos show true respective of what this hotel is. By the way.....the staff here is about the friendliest you'll find at any hotel anywhere. Very nice, friendly and sincere. I stayed here for four nights the week of December 4, 2017. The room and bed were very clean and quite comfortable. The exercise room was very well equipped, with treadmills, recombinant bikes, free weights and weight machines. The breakfast was also good, with many choices. The staff was very professional. The manager, Karim Kissou, was friendly and very helpful. A nice place. Highly recommended. Good location only minutes from River walk and market square. We'd definitely be staying here when we return to San Antonio. The queen suite the kids slept in was bigger than expected and the sofa bed in a different room was great. 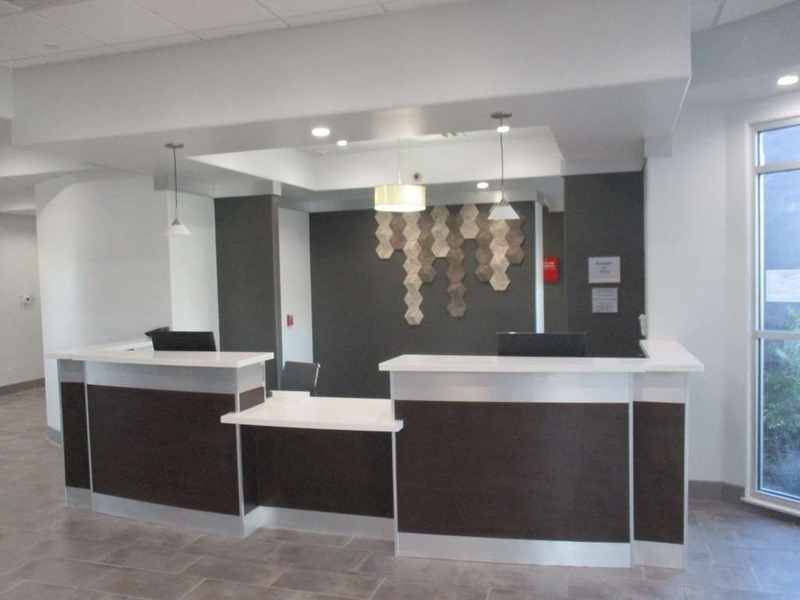 "Brand New Best Western Plus"
This is brand new property just open three week ago, our stay at the Best Western Plus- Roland was a very pleasurable experience with clean big rooms, great breakfast and Great employees. I will definitely be staying there in the future and recommend anyone having any events to use that location. Had a great stay with my two service dogs. Wish they had a dog run like other BW Plus hotels. Nice large rooms, nice hotel decor, super hotel staff. I highly recommend, short drive to the Alamo, and Trinity University.